With this adapter you can either charge 2nd battery while using another or use it as a external battery..
That's also an ethernet port you see on there. 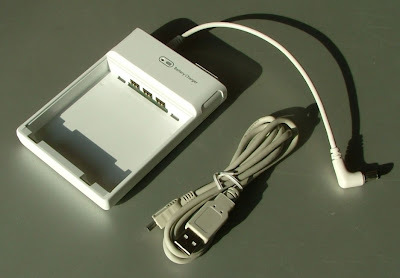 It's also a wired LAN adapter. Simple but very effective and excelent value. I wish more devices had bigger batterys build in.This solution might be ok for the Everun but I dislike it generally. Will find many sites listing this now for sub-$200 (that price might be high for some, but for others $200 is the most that they can pay). Sub-$100 might be what they are worth. I am evaluating everun note for my company (we'd buy 2 of them for fieldwork). This external charger just have an outraging results/value relation and we are almost decided to make the purchase. we are looking for a small and light device which can run dragon naturally speaking, and dual core everun seems to have enough horsepower. Does somebody know if everun note actualy can run Dragon? 3) a battery charger for the extra battery and (after it is done) the main battery, WHEN the Everun is OFF. For 3), if your Everun is ON, the computer might abruptly turn off due to insufficient power. So, please be careful of 3), otherwise you might lose data. 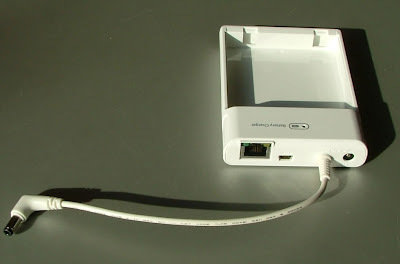 BTW, to use LAN, you need to connect the charger to the Everun Note with a separate USB cable, which is reasonable but a bit cluttered. I'm waiting of the soon-to-be-released (hopefully) Li-polymer extended battery (about 150% capacity).